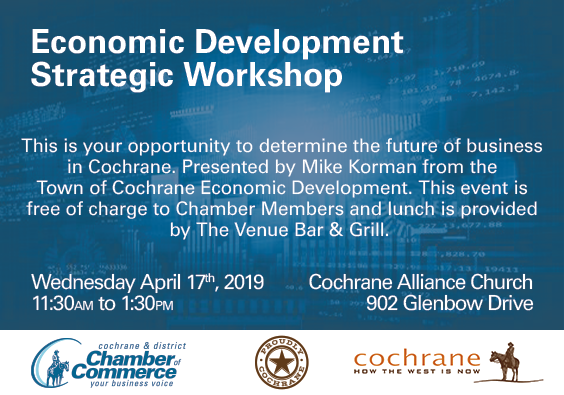 The April Lunch 'n Learn will be with the Town of Cochrane Economic Development. HAVE YOUR SAY - Please join us for an Economic Development Strategic Workshop. This is your opportunity to determine the future of business in Cochrane. Presented by Mike Korman from the Town of Cochrane Economic Development. The workshop includes participation from all attendees and is available to Chamber members for free. Food provided by The Venue Bar & Grill Bar & Grill.